Dahlgreen Decorators is your local decorating service covering the Pocklington, Market Weighton, Beverley and surrounding village’s area. 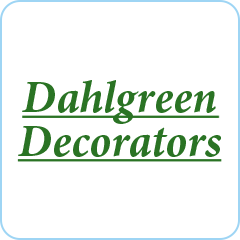 Offering a full range of both internal and external decorating services Dahlgreen Decorators are happy to discuss all shapes and size of jobs, from one wall to a full redecoration. Providing their services to both the domestic and commercial sectors Dahlgreen bring over 35 years’ experience to any job and with every job coming with a full guarantee you can have peace of mind that Dahlgreen will provide a service to match your expectations. To discuss your needs and arrange a free quote call Dahlgreen today.